Home » What's up: Events » A special workshop, just for the ladies on Nov. 22nd. A special workshop, just for the ladies on Nov. 22nd. Getting the most out of Lyon, especially as a woman new to the city, can feel intimidating. Certainly, a little bit of confidence goes a long way. 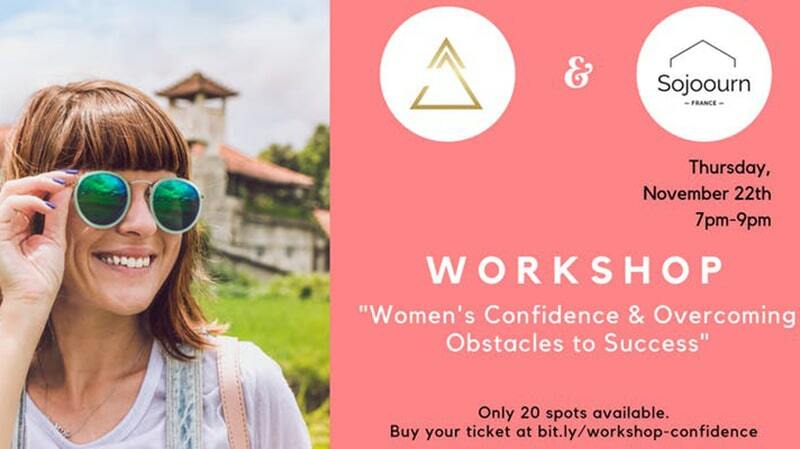 Join Life Coach and behavioural change expert Martina Buchal for this 2 hour interactive workshop to help you to learn, grow, and step into your strength as a woman, by overcoming your obstacles to success and building confidence. Martina draws on insights from her two-year professional world tour to help you: learn the reasons why many women struggle with confidence, and what the greatest barriers are standing in their way; develop skills and tools for boosting confidence at the drop of dime; and walk away feeling empowered, with a sense of support and confidence to live your best life. The event takes place Thursday November 22nd at the beautiful Hyppairs cafe. Spots are limited to 20 people, so book soon. The last workshop in Montreal sold out beyond seating capacity!